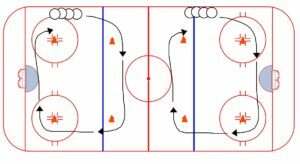 The Mohawk Square Drill, and the Full-Ice Snake Drill are two phenomenal ways to work on inside mohawks with your team. 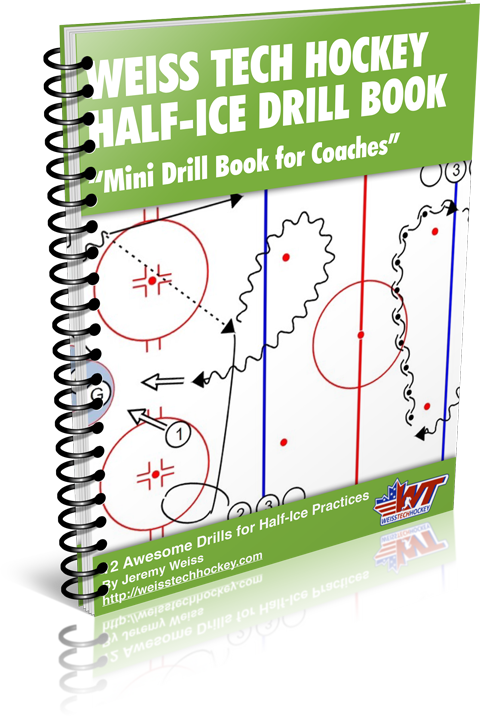 I use these two drills to work up to more difficult mohawk drills like the “Snake” Shooting Drill––and of course, the Snake Shooting Drill is a precursor to many other situational drills in which the mohawk can be used. 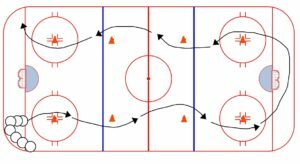 Note: Once the players can execute the move well, put a puck on their sticks and have them do a toe drag with their mohawk at each cone. 1. Players start in corner. 2. Each player weaves through the cones, executing a mohawk around each cone. 3. Maintain the mohawk behind the net, then come back. 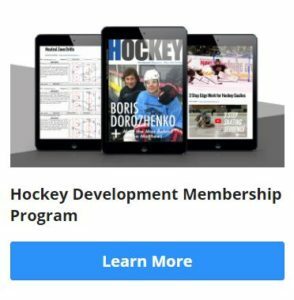 Note: Add a puck and a shot at the end as players begin to improve.